Meet the 84 startups selected to participate in the MassChallenge Texas inaugural cohort. It’s with great excitement that I deliver this newsletter to your inbox. In case you missed the news, yesterday MassChallenge Texas announced the finalists selected to participate in the inaugural cohort. In total, 84 startups have been selected from all corners of the Lone Star State, and the world, to head to Austin to participate in MassChallenge's first Texas-based startup accelerator. Click here to tweet the news! 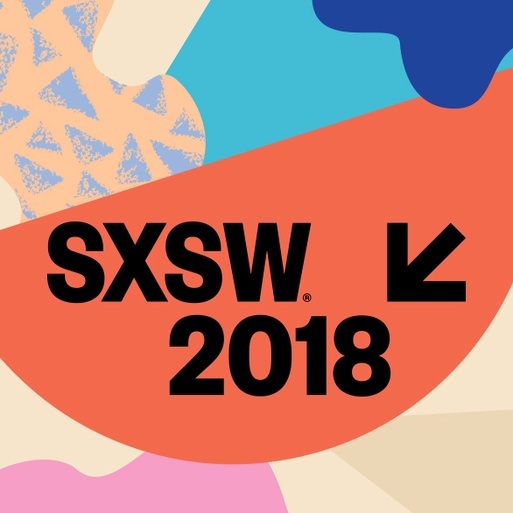 Below is information about the finalists, press highlights, information about where to find us at SXSW, upcoming events, and more. If you have any questions, please reach out and let me know! This group of 84 startups pulls together high-impact, high-potential startups from five continents, 11 countries, and 12 states. The selected startups are 32% female-founded and represent five major industries including: high tech, healthcare/life sciences, general consumer, social impact, and energy/clean tech. The cohort includes more than 30 sub-industries including but not limited to: agriculture, education, medical devices, poverty alleviation, storage, water treatment and technology, and more. This cohort represents our promise to connect startups and resources from all corners of Texas; over 50% of the selected startups come from the five pillar communities - Austin, Dallas/Fort Worth, El Paso, Houston, and San Antonio – and surrounding areas. In addition to this impressive list of startups, we cultivated a list of community partners that span the vast lands of Texas, from Dallas/Fort Worth to the Rio Grande Valley, to College Station and El Paso. We, with the support of the community, are making Texas the best place in the world to innovate. The first MassChallenge Texas accelerator kicks off in early April 2018 in Austin, Texas. During the program, the startups will enjoy complimentary access to any WeWork location in the Austin area for the duration of the program, bespoke mentorship, unrivaled access to our founding partners and the MassChallenge Corporate Partner network, special deals and resources, and more. MCTX will culminate in the MassChallenge Texas Award Ceremony in August where we’ll award up to $500k in equity-free cash grants. Here is a selection of press clipping from our announcement. Follow our Twitter to see more news as it hits! The MassChallenge Texas recruiting efforts and roadshow uncovered an amazing amount of talent, in Texas and from across the world. So much so, that 54% of all applicants joined us in Austin to pitch during Round 2 judging. For one week, we took over Strasburger & Price, LLP in downtown Austin, where 280 startups pitched 120 judges on how their businesses will change the way we live, work, and play. Thank you, Strasburger & Price, LLP. We'd like to take this opportunity to thank our founding corporate partners: Southwest Airlines, TMAC, WeWork, Upstream, and USAA for their continued support. Learn more about our Corporate Partner programs and how we can help you advance your innovation agenda. MassChallenge invites the startup community to their Startup Sunday event hosted in conjunction with SendGrid and Global Accelerator Network on Sunday, March 11, 2018 from 11:00 a.m. – 6:00 p.m. at Key Bar on Sixth Street in downtown Austin. Judging, and mentors, and panels – OH MY! Mike Millard, Managing Director of MassChallenge Texas, is serving as a coach and mentor for the SXSW Accelerator and will also appear on the How Smart Venture Money Isn't Smart But You Can Be panel on Monday March 12, 2018 at 11:00 a.m. in the Hilton. Director of Communications + Ecosystem, Dana Rygwelski, will serve on the Best of Show selection committee at the SXSW Accelerator on March 10 and 11, 2018. Here is a selection of events from our partners around the state. Click the links and check out what these teams are doing to help entrepreneurs win! Be sure to check our Facebook to see upcoming partner event, where we'll be during the month of March, SXSW, and more! You received this email because you are subscribed to MassChallenge News & Blogs from MassChallenge Texas.